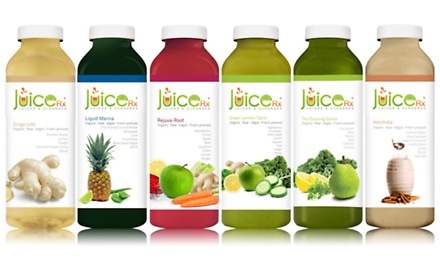 Click to explore the available juices, gourmet raw-food meals and desserts, and superfood Elixir Shots, two-ounce bottles containing a concentrated blend of superfoods brimming with antioxidants and active enzymes. Click to view available cleanses. Both options are valid for in-store pickup at the just-opened Old Town location. Availability of one-day cleanse not guaranteed unless pre-ordered at least three days in advance. Limit 1 per person. Limit 1 per visit. Must use promotional value in 1 visit. Valid only for option purchased. Valid in-store only. Not valid with any other promotions or specials. Availability of one-day cleanse not guaranteed unless pre-ordered at least three days in advance.